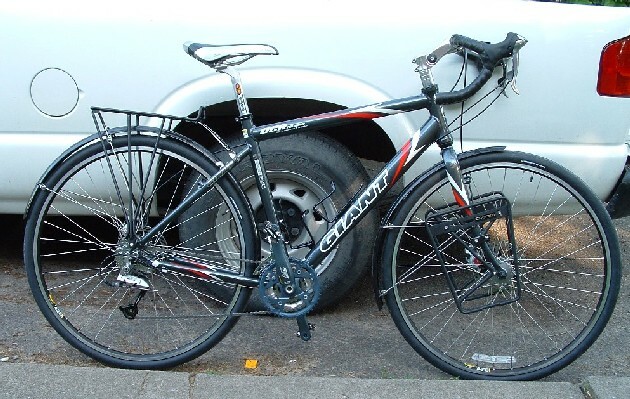 On July 6, 2004 Roo got his brand new Giant OCR Touring bike. 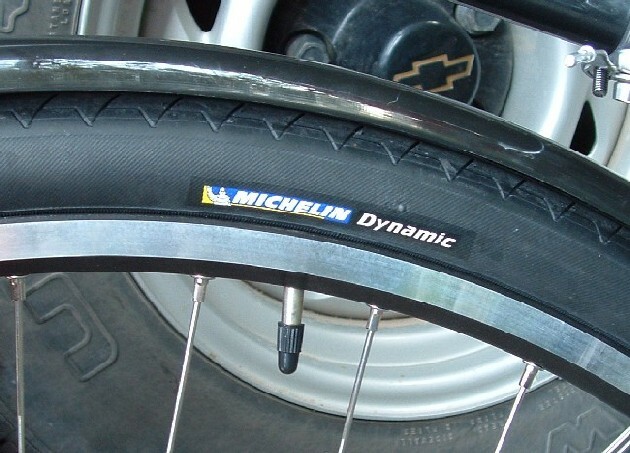 The bike is the first step for future plans that he wont tell me. I think he doesn't want me stalking him on his journey. Above: The bike unloaded. 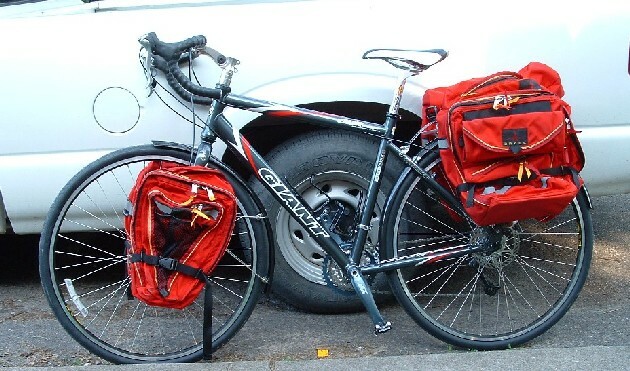 Below: The bike with all the 'panniers' or travel bags. Total Cost: You dont want to know, but not as much as it could have been. 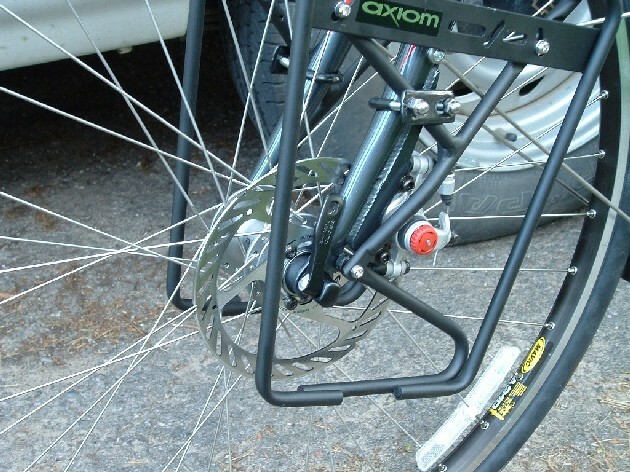 ABOVE: The front disk brake and pannier rack. 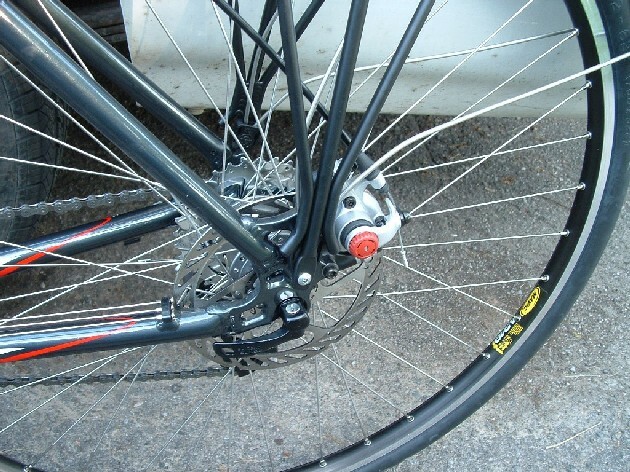 BELOW: The rear disc brake and cable rack. ABOVE: The main control area of the bike. 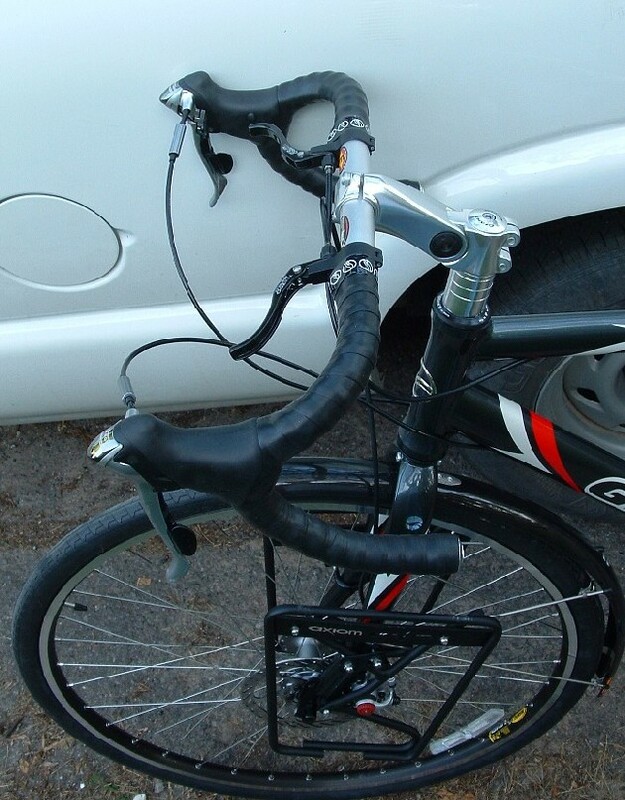 Notice the extra set of brake levers on the tops of the bar. BELOW: We all know who that guy is! Awww how cute!.